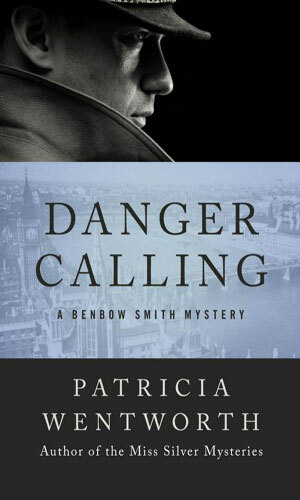 Benbow Smith is a spymaster with the British Foreign Office. His full name is a mouthful - Benbow Collingwood Horation Smith. Ananais, by the way since I knew you were wondering, is a very, very talkative parrot that Smith owns and for whom he has considerable affection. Ananais is frequenly spouting off about this or that, often lacing his statements with Spanish racy language. Since Smith does a lot of his meetings with people in the study of his home, the same study where Ananais rules, the chatty bird hears a considerable amount and loves to recite some of it back. Described as "a very tall, thin man, with the forward stoop and slightly peering gaxe of a scholar", Smith wears large horn-rimmed glasses which he often pushes up on to his forehead when not reading. Though he is named after three admirals, it is written that "a less nautical figure could hardly have been imagined" but when it came to using his mind, he was every bit as leader-qualified as any naval officer who ever earned a star. Interestingly, it is said that though he distinguished himself at college, he then "passed into obscurity" and largely vanished. It was a few years later than he was again noticed by the world, or at least a small part of it, when after publishing a monograph on Russian ikons and another on early German woodcuts, neither of which got any attention from anyone, he came out with a book entitled The European Problem which was not only a treatise on how things stood in the years before WWI but also keenly predicted what would certainly transpire as a result. He was amazingly and chillingly accurate. When the Great War did come, Smith was in constant demand because of his "intimate knowledge of almost every European country". Virtually every governmental department that Britain had made a call to his door at one time or another and he helped as best he could, the results of which made his voice very much something to listen to. Despite his resultant power and prestige, the man changed little. He was still a bachelor and decidedly considered an eccentric. One young bride having received as a wedding gift an expensive string of pearls lovingly but accurately referred to him as "a dinky old duck". Which very well describes Benbow Smith. What is not so easily described is his amazing and very hush-hush connection to the cloak and dagger world, mostly handled from the study where his talkative parrot holds reign. Hugo Ross desperately needed a job and he was hurrying at night to an interview with an eccentric inventor when he literally bumped into a fleeing young woman who warned him to stay away from the inventor's house. Ignoring the advice but smitten with the lady, Ross takes the job but soon smells a rat. 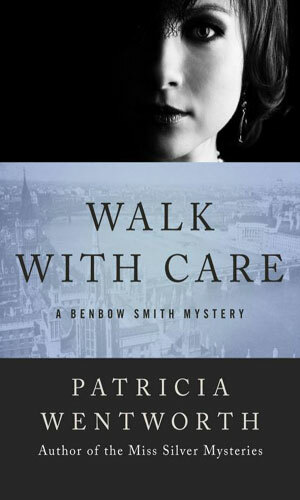 Turning to Benbow Smith, a friend of his sister, he becomes the inside man for a British Intelligence investigation. Over a decade ago, Lindsay Trevor had worked briefly for the British Secret Service and enjoyed it. Now, though, his life is far simpler and safer and he is about to get married. That's when Benbow Smith shows up on a train and offers him a chance to "die for his country". It involves faking his death and taking the place of a cousin to take over for a dead agent. Trevor is surprised when he agrees. Prominent people in government are being driven from service, some even to ending their lives. Benbow Smith of the Foreign Office is asked to look into matter which certainly involves blackmail of some kind. The day before she was to be married, a woman said she was going to visit a sick relative and was not seen again. Her fiancée asks Benbow Smith for help finding what happened to her. Smith is certain her disappearance is connected to several other vanishings over the past few years. The betrothed must put his life in danger to stop a madman's evil plot. Years before I became so addicted to spy series, I read, well, just about anything. I had a period where I was hooked on what now are called cozy mysteries. Agatha Christie, Dorothy Sayers, Margary Allingham, Ngaio Marsh, and Mary Roberts Rinehart all gave me a book or three to try out. So did Ruth Rendell (she came later to print but since I was reading them in the early 70s, she was already well established). I do not read them as much nowadays but I still hold them all in high esteem. 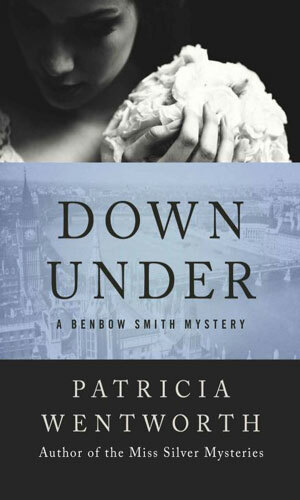 One I read but did not mention in the group above was Patricia Wentworth. I adored her Miss Silver as much as I did Jane Marple and that is saying something. I easily read a half dozen of hers over those years and enjoyed them very much. I did not read the Benbow Smith books, though, because I did not know about them. In fact, I only learned about them quite recently and was astonished. The woman who penned the stories of sweet retired governess Maud Silver also wrote spy novels? Wow. Once I started reading them, though, I could see how the lady who gave me one could also give me the other. 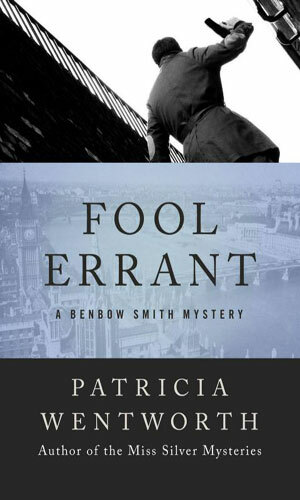 The Benbow Smith books are spy novels but they are also mysteries filled with sneaky assistants and creepy butlers and hidden rooms and secret labs and all sorts of things that a good mystery should have. These bad guys, though, were not interested in bumping off a rich uncle for the inheritance or killing a rival for a woman's affections. They were dealing with other nations not very friendly to Britain and doing naughty things on their behalf. And in the shadows watching and monitoring and planning and directing is Benbow Smith. I wonder if he and Maud ever met? 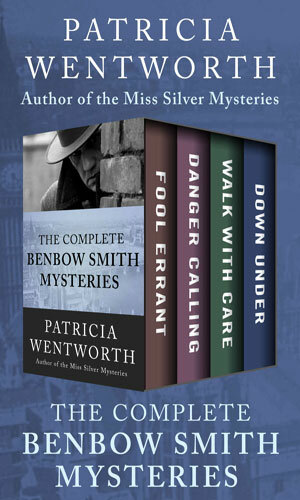 If they ever did, that is a book I would love to read, just as I loved Miss Silver adventures and now the quartet of Benbow Smith cases.